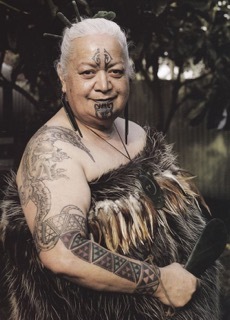 Hinewirangi Kohu-Morgan is a Maori artist, poet, and activist, who lives and works in Aotearoa (New Zealand). She is the Executive Director for the non-profit Nga Mata Whanau Trust. She is a Board Member of the International Indian Treaty Council and is a Representative for the Nuclear Free and Independent Pacific movement. Hinewirangi is a founding director of the Maori Women’s Centre, which runs programs that help end domestic violence and rebuild community while promoting radical changes in the dominant political and economic system. She teaches in her homeland of New Zealand and abroad, conducting workshops on all aspects of the Maori philosophies of mental, physical, and spiritual well-being. 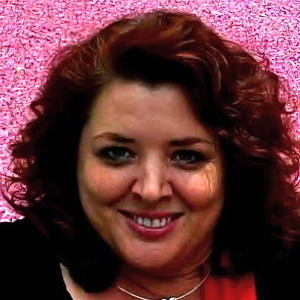 She is also the lead coordinator for Movement Rights delegations to Aotearoa. Maude Barlow is the National Chairperson of the Council of Canadians and chairs the board of Washington-based Food and Water Watch. 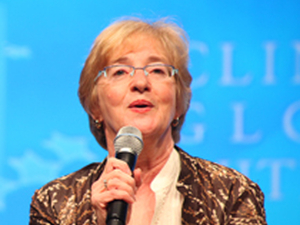 She is a board member of the San Francisco–based International Forum on Globalization. Maude is the recipient of eleven honorary doctorates as well as many awards, including the 2005 Right Livelihood Award (known as the “Alternative Nobel”), the 2005 Lannan Foundation Cultural Freedom Fellowship Award, the Citation of Lifetime Achievement at the 2008 Canadian Environment Awards, the 2009 Earth Day Canada Outstanding Environmental Achievement Award, the 2009 Planet in Focus Eco Hero Award, and the 2011 EarthCare Award, the highest international honour of the Sierra Club (US). In 2008/2009, she served as Senior Advisor on Water to the 63rd President of the United Nations General Assembly and was a leader in the campaign to have water recognized as a human right by the UN. 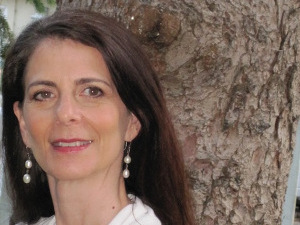 She is also the author of dozens of reports, as well as 17 books, including her latest, Blue Future: Protecting Water For People And The Planet Forever. Tom B.K. 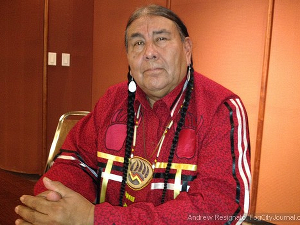 Goldtooth, Executive Director of the Bemidji, Minnesota-headquartered Indigenous Environmental Network, a social change activist within the Native American community for over 30 years, has become an internationally renowned environmental and economic justice leader, working with many organizations around the world. Tom co-produced the award-winning documentary, Drumbeat For Mother Earth, which addresses the affects of bio-accumulative chemicals on indigenous people. Casey Camp Hornick Is Zhuthi [Ponca], from the Ponca Nation of Oklahoma USA. 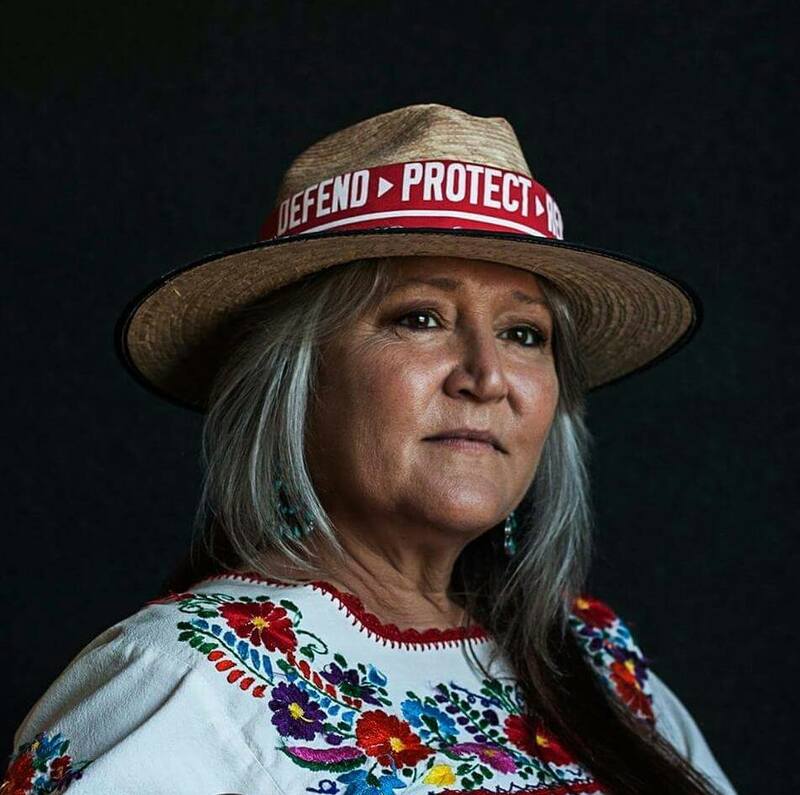 Like her brother, the late Carter Camp, who was a leader in the American Indian Movement, Casey has been an outspoken activist for her people and for Mother Earth. “We are averaging one death per week in a community of 600 to 800 people. All of these are from cancers and from unknown autoimmune diseases that create these same things in our bodies that our Mother the Earth is feeling at this moment.” She has won an Emmy and will continue to work on future film projects while travelling to speak on concerns of Indian communities throughout the hemisphere. She and brother Dwain also have fought in support of the Ponca people to address the pollution of the White Eagle area by the Carbon Black Corporation. Camp also founded the Coyote Creek Environmental Center on family land near Marland. 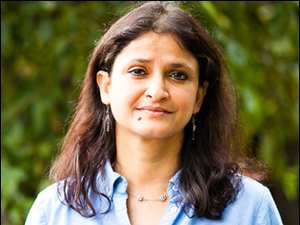 Anuradha Mittal, founder and executive director of the Oakland Institute, is an internationally renowned expert on trade, development, human rights and agriculture issues. Recipient of several awards, Anuradha Mittal was named as the Most Valuable Thinker in 2008 by the Nation magazine. Mittal has authored and edited numerous books and reports including (Mis)Investment in Agriculture: The Role of the International Finance Corporation in the Global Land Grab; The Great Land Grab: Rush for World’s Farmland Threatens Food Security for the Poor; Voices from Africa: African Farmers and Environmentalists Speak out Against a New Green Revolution. Anuradha has addressed the Congress, the United Nations, given several hundred keynote addresses including invitational events from governments and universities, and has been interviewed on CNN, BBC World, CBC, ABC, Al-Jazeera, National Public Radio and Voice of America. Anuradha is on the board and advisory committees of several non profit organizations including the Right Livelihood Award (also known as the Alternative Nobel Prize), International Forum on Globalization, and is a member of the independent board of Ben & Jerry’s which focuses on providing leadership for Ben & Jerry’s social mission and brand integrity. Carleen Pickard is the Ethical Campaigner for Lush Fresh Handmade Cosmetics, based in Vancouver, BC. Previously she was the Executive Director of Global Exchange, and Political Co-Director at the Council of Canadians. She holds a MA in Anthropology and Development from the University of Sussex, UK, and has worked in social justice organizations in London, UK, Chiapas, Mexico, San Francisco, CA and Ottawa, ON prior to returning to Canada in 2015. 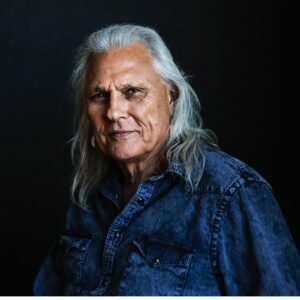 Michael Horse is an actor, jeweler, ledger painter and activist. His traditional art depicts the spiritual connection of Native American culture to Mother Earth. 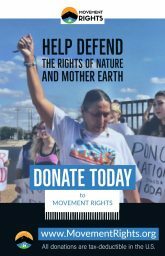 His activism centers around these same themes, promoting the rights of Indigenous Peoples and Nature, and the well-being of communities, particularly frontline communities facing fossil fuel extraction. Co-founder and Director of Movement Rights, which was born in 2015 out of her 12 years of work at Global Exchange, where she was Director of Development until 2005, before beginning the Community and Nature’s Rights Program, focused on assisting communities confronted by corporate harms to enact binding laws that place the rights of communities and nature above the claimed legal “rights” of corporations. 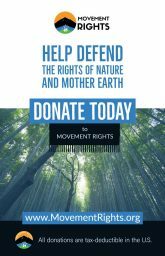 Over 160 communities have passed these new laws across the US, and have used this new understanding to stop working defensively against corporations and take courageous action to assert their rights to make governing decisions where they live. She is the co-author of two books, Building the Green Economy: Success Stories from the Grass Roots and The Rights of Nature. She is also a leading international speaker, author and activist on the growing movement for Rights of Nature. Shannon is a lecturer of weekend “Democracy Schools” that explore the rights-based framework for change, and leads rights of nature trainings around the country. Prior to coming to Global Exchange she was a senior staffer at International Forum on Globalization (IFG), where she organized large international teach-ins and wrote and edited for IFG publications. She also was a Lecturer in International Relations at San Francisco State University. Shannon holds a Masters in Economics/Politics of Empire the London School of Economics (LSE), and has a BS in International Relations from San Francisco State University (SFSU). Pennie Opal Plant is and Indigenous grandmother of Yaqui, Mexican, European and undocumented Choctaw and Cherokee descent. Born in the shadow of the Chevron Refinery in Richmond, CA she has been a leader in her community fighting for justice following the explosion of that facility in 2012. 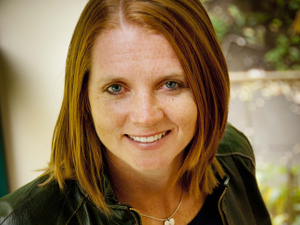 She is co-founder, along with Shannon Biggs, of Movement Rights. 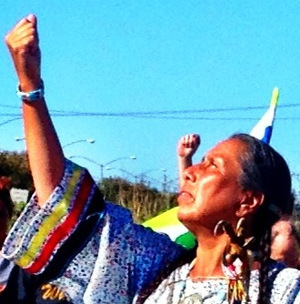 She has been an activist for over 35 years on anti-nuclear, environmental and indigenous rights. 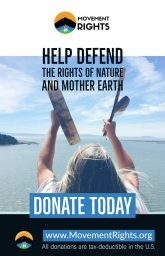 Her current work includes assisting communities and tribal nations in aligning human laws with the natural laws of Mother Earth in order to confront corporate power that is harming life. She is a founding member of Idle No More SF Bay, and a signatory on the Indigenous Women of the Americas Defending Mother Earth Treaty. Pennie also is a founding member of the Bay Area Rights of Nature Alliance and has been deeply involved in promoting the Declaration on the Rights of Mother Earth. She lives near the Richmond Chevron refinery, is the wife of actor and artist Michael Horse, and happily lives with her husband, daughter, grandson, two cats and four chickens.